After making my Heather dress I still had half a metre of the lovely navy Ponte jersey left over, which I wanted to put to good use. 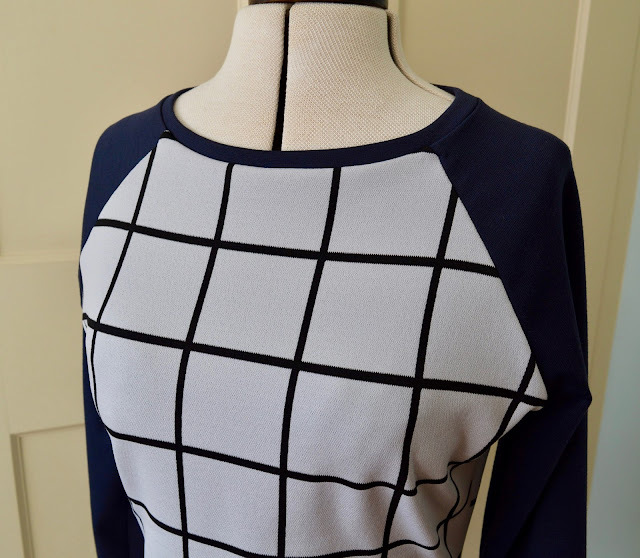 I decided to use it for the sleeves of a raglan sleeved top, teaming it with some classy checked Ponte jersey from Fabric Godmother. The checked fabric is reasonably heavy weight, making it a great choice for sweatshirts or knit dresses. The picture on the website makes it look cream coloured, but it's actually a light grey as you can see below. 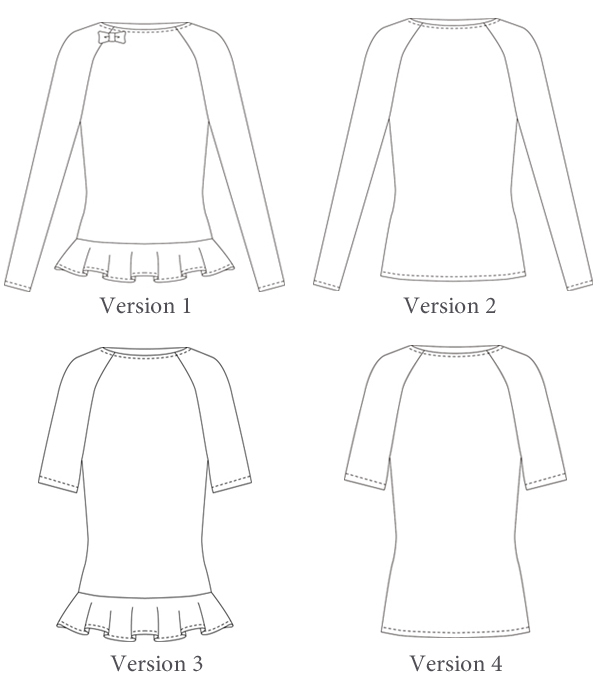 Raglan sleeved sweatshirt patterns are popular at this time of year and I've seen some gorgeous versions floating around. However, the two sweatshirt patterns I'm familiar with (the Grainline Linden and Capital Chic White Russian) tend to be a bit too loose fitting for my liking. 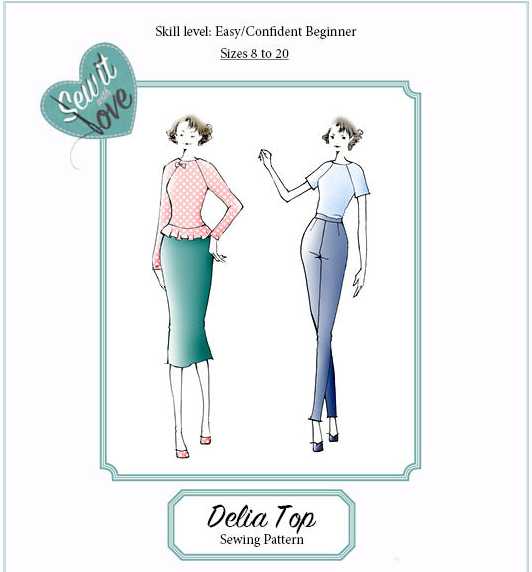 The pattern I used was the Delia Top - this was newly released by Sew It With Love just before Christmas (PDF only) and is a semi fitted style. I was a tester for this pattern so I already knew the fit was good. I cut a 12 at the bust and a 10 at the waist and hips. It fits just how I like it: it still has a bit of ease but isn't too boxy. The only change I made was to the neck binding - this is supposed to be folded to the inside and top stitched, so isn't actually on display. I found this to be far too bulky and kept the neckband visible on the outside instead of folding under. I like the contrast against the lighter checked fabric, in fact I like it so much I haven't top stitched it as I don't want to spoil the effect! I just tacked the seam allowances together at the raglan sleeve top edges and that seems to keep it in place. 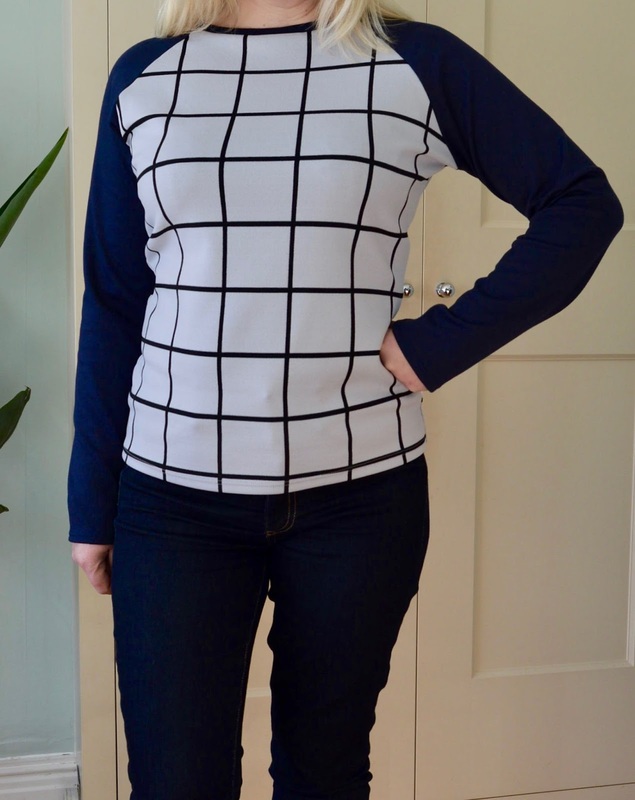 The Delia Top was given to me free of charge for pattern testing, all views my own. 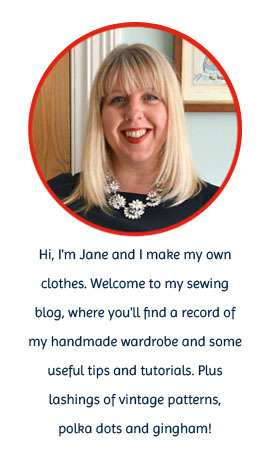 You look terrific in that Jane. I agree with you, those boxy shapes are so boring and unflattering, this is much better. Such a brilliant way to use up that navy ponte. 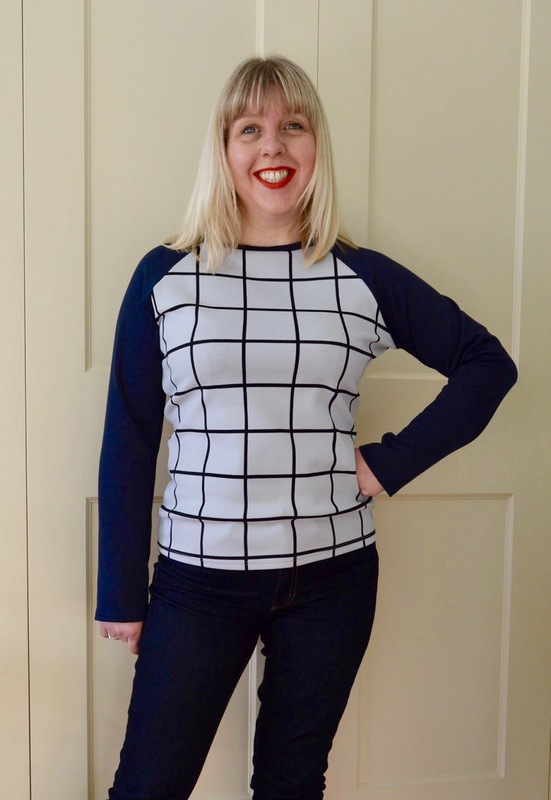 I have a small amount of navy sweatshirt jersey left and may steal your idea of adding contrast sleeves to something a Linden Sweatshirt! I am loving that! Love the contrast sleeves and the neck band. And I've been eyeing that fabric on Fabric Godmother for a while now, you might have just convinced me to get it.